Dulwich is a district of South London, England. The area lies between the London Borough of Southwark and the London Borough of Lambeth. It is home to Dulwich Park, which offers ponds with ducks and rowing boats, a tennis court, a bowling green and a horse riding path. Dulwich can be reached by car via the South Circular Road (A205). Dulwich is well served by public transport and West Dulwich railway station offers direct trains to London Victoria. Lanes School of Driving has been giving driving instruction since 1914. Starting from humble beginnings, Lanes has flourished over the years and developed an outstanding reputation. Lanes treats each pupil as an individual. Lessons are carefully tailored to the needs of each student. Intensive driving courses are a staple at Lanes. Theory lessons are offered either in conjunction with practical lessons or as a separate course. Once pupils obtain their driving licence they can take further instruction with us. We offer a selection of after pass courses including: Parking Skills, Advanced Driving, Pass Plus, and Motorway Driving. Lanes takes a flexible approach to scheduling lessons. Pupils are free to choose from regular weekly lessons to one-off single lessons. Lanes has a fine selection of modern and well-equipped vehicles for our pupils. For ease and convenience, Lanes’ instructors can pick students up from their homes before each lesson. After their lessons students can be dropped off. 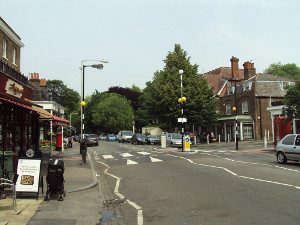 Lanes have been providing driving lessons in Dulwich, London for many years. Please call us today on 020 8166 5678 or click here to send us an email via the contact page. Lanes has over 40 driving instructors available. Pupils can select the instructor most suited to their ability and personality. Our instructors are well versed in teaching pupils of all ages, from 17 to over 70. Nervous students will be made to feel at ease in the hands of our instructors. Each instructor is an Approved Driving Instructor registered with the DSA. To ensure fast and continuous progress, each pupil will retain the same instructor for the whole of their lessons. Lanes have a team of driving instructors in Dulwich, London. Please call us today on 020 8166 5678 or click here to send us an email via the contact page. Learning to drive can be nerve-racking for the beginner. Female drivers can be especially concerned about having a male instructor. Therefore, Lanes offers females the option to chose a female driving instructor. Our female driving instructors are very understanding and non-judgemental. They are excellent in ensuring their students do not feel pressured in any way. Lanes have a selection of female driving instructors in Dulwich, London. Please call us today on 020 8166 5678 or click here to send us an email via the contact page. Some students choose automatic cars in which to learn. Manual cars certainly provide the experienced driver with more control. However automatic cars are less complex to control and far less daunting for the beginner. Automatic cars are more straightforward to drive, plus they are impossible to stall. It is usual for students to make faster progress in an automatic car. Lanes have a selection of automatic driving instructors in Dulwich, London. Please call us today on 020 8166 5678 or click here to send us an email via the contact page.